Originally from New Orleans, Christine Berenger worked in private equity, fixed income and equity and commodity derivatives for 15 years, with the majority of her career on Wall Street. Her passion for wine could no longer be ignored and Fava Beans & Chianti was launched. In the fall of 2010, Christine combined her passion for and knowledge of wine with her background in high finance by joining the investment team at Bordeaux Index in London. She is developing an investment fund with investment grade wine as the underlying asset. She holds the Wine and Spirit Education Trust (WSET) Advanced Certificate, with merit, and is currently a Diploma Candidate. She is a Certified Specialist of Wine (CSW) with the Society of Wine Educators (SWE). 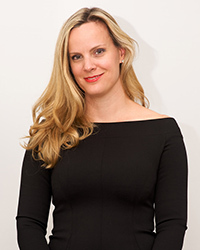 She is a member of SWE and the Women’s Syndicate Association in New York, an organization developed by Wall Street professionals to promote business acumen and relationships within the Wall Street community. At my first job in private equity, the entire team, primarily former partners from Goldman Sachs, worked out of the managing partner’s home in Washington, DC as the start-up became established. His very talented and classically trained chef prepared innovative meals for our team daily. She had spent her prior years entertaining dignitaries from around the world as the personal chef to Pamela Harriman, the former U.S. Ambassador to France. The artistry of her preparation, the merging together of bursting flavors… it struck a fire within me. I began to view this part of my day as my own private cooking classes. I peppered the chef with questions, learned a lot, experimented at home and alas, became a foodie. While working in investment banking in New York, I continued to develop my passion for food, quickly adding a zeal for wine to that mix. Years ago, while other Associates in Salomon’s Sales and Trading training program were busy seeing if it is physically possible to consume a gallon of milk in an hour (um… it’s not), running 50 yard dashes along West Side Highway, or being the subject of a “who could eat the most Big Macs in an hour” bet (without getting sick), I was hosting the first crab cake “throw down” on Salomon’s trading floor. I was very fortunate that my positions in finance provided me with the opportunity to travel extensively, exposing me to a broad range of culinary and wine experiences. My Wall Street career challenged me enormously, and I am truly very grateful for these experiences, but I realized that I needed to explore my passion for food and wine. Friends and colleagues knew how much I traveled. They knew how obsessed I was with food and wine. For years, they frequently asked me for suggestions and encouraged me to write about my experiences. Et voila… Fava Beans & Chianti was finally born. Prior to Fava Beans & Chianti, I spent the bulk of my career on the equity derivative platforms for Salomon/Citigroup and UBS Investment Banks. My most recent Wall Street experience was with UBS where I was responsible for the Investment Bank’s equity and commodity index structured products relationship with UBS Wealth Management US. After 11 years of living in the incredible city of New York, I relocated to London with my amazing French husband. I now work for Bordeaux Index in London as a portfolio manager.